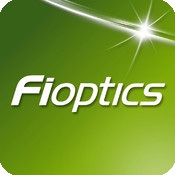 Fioptics is Cincinnati Bell’s fiber to the home service currently offering speeds up to 100mbps down and 20mbps up. However, in an April 14 announcement, Cincinnati Bell is planning to provide up to 1gbps speeds to the startup accelerator at The Brandery. According to FierceTelecom, Cincinnati Bell now has a total of 80,000 Fioptics customers and has “passed 71,000 units and gained 29 percent penetration.” during this past year. There are indications that Cincinnati Bell may have plans to cover 60 to 70 percent of the Cincinnati market with Fioptics. There remain a few big questions, though. Will Fioptics be available at gigabit speeds? And, what will it cost when the current 100mbps is between $80 and $90 per month. There is no doubt that fiber to the home is the ideal solution for carriers in delivering broadband to homes and is the favored solution for home users. If Cincinnati Bell does expand their Fioptics service into the Dayton region, this will be good for Daytonians.